I focus on creating senior portraits that are unique to you. I like to take time to get to know each one of you and develop a portrait session that captures your personality, character and interests. I shoot both in studio and on location. I have worked in unique urban, scenic and natural locations throughout Northern Illinois. We can also shoot at a location of your choice. 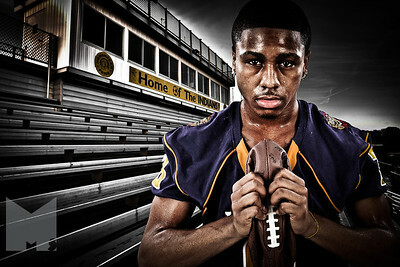 I photograph formal, lifestyle portraits, posed action & composite photography for my high school seniors. Best of all, my portraits are affordable. Don't miss out on capturing the milestone of your senior year. Contact me to reserve your session today. - Senior session is 1.5 hours of photography in studio or on location. - No limit to outfit changes but 3 is recommended to have plenty of time to shoot. - Print or digital packages available to you. - Mini session is 45 minutes of photography in studio or on location. - No limit to outfit changes but 2 is recommended to have plenty of time to shoot. - Add this on to a Senior session or alone. - Images shot specific for composite images on a white backdrop. - Get that once in a lifetime image of you doing your high school sport from an angle you would never be able to shoot while you are playing.